The New Year began with a bang when I opened my email and discovered I’d been named to The Knot’s Best of Weddings 2017. 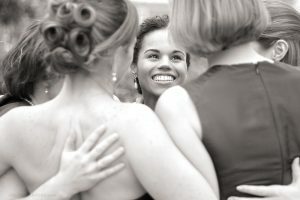 This is the eighth consecutive year that couples have named me to their best wedding photographer list (omg! ), and I’m beyond humbled by the folks who’ve invited me into their lives over the past decade+ of my doing this. The press release is below. 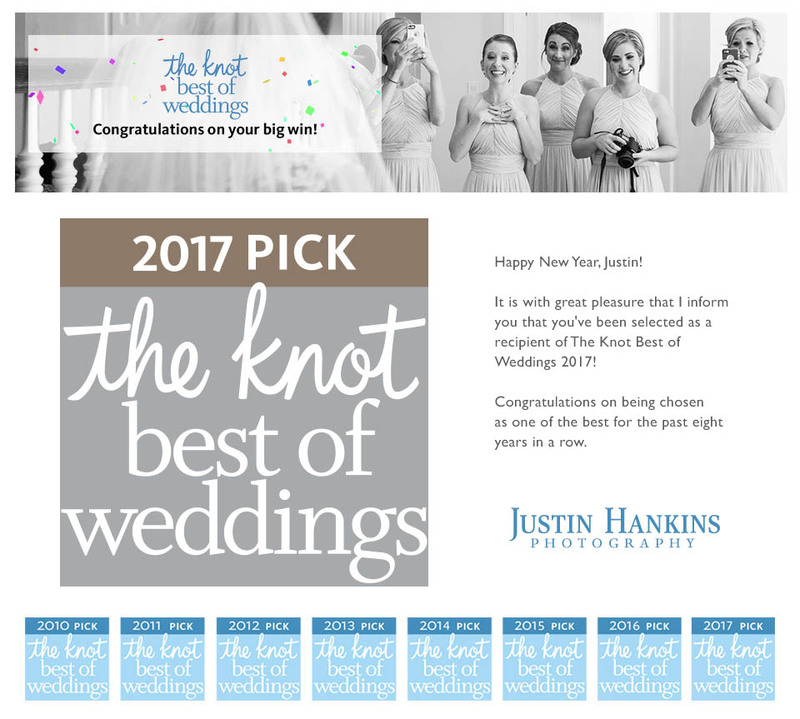 Virginia Beach, VA/January 2, 2017—Justin Hankins Photography is pleased to announce that the company has been selected as a 2017 winner in The Knot Best of Weddings, an award representing the highest-rated wedding professionals as reviewed by real couples, their families and wedding guests on The Knot, the #1 wedding resource. This is the eighth consecutive year Justin Hankins has been selected as one of the best wedding photographer choices for The Knot Best of Weddings. 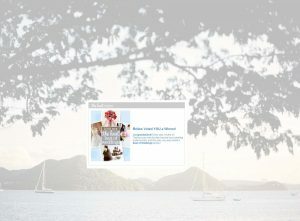 In 2017, only 2% of the 250,000 local wedding professionals listed on TheKnot.com have received this distinguished accolade. 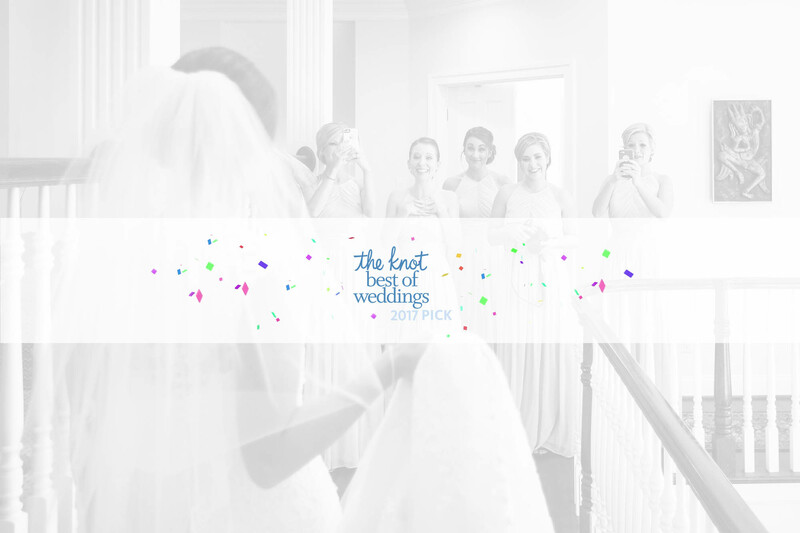 In its eleventh annual year, The Knot continues its longstanding tradition of supporting local wedding vendors with The Knot Best of Weddings 2017, an annual by-couples, for-couples guide to the top wedding professionals across the country. To determine the winners, The Knot assessed almost one million reviews from real couples across the various vendor categories—venues, musicians, florists, photographers, caterers and more. 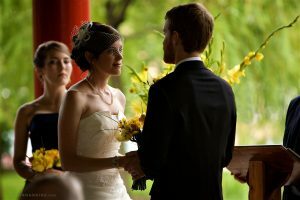 These winners represent the best of the best for wedding planning professionals that a bride or groom would want to consider order to inspire, plan and pull off their own unique wedding. Justin Hankins travels around the world documenting the happiest moments in people’s lives. 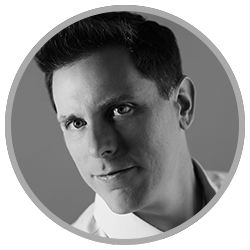 His work has earned an Accolade of Excellence by Wedding and Portrait Photographers International (WPPI), is published widespread in books and magazines, and has earned the Best of Weddings nod eight years in a row (2010-2017). Please visit Justin online at JustinHankins.com and follow on social media: Facebook.com/JustinHankins and @justinhankins on Twitter, Pinterest, and Instagram.